Michael Power » The Privacy Case of the Year? The Privacy Case of the Year? As we mark the technical end of summer, I can’t help but think that we’ve already seen the privacy case of the year. Granted we still have another three months left in 2013 but R. v. Telus has a lot going for it – especially in this increasingly “mobile” world. The essence of the case can be seen as a police request for the production of text messages using a general warrant. General warrants are authorized by section 487.01 of the Criminal Code. A judge may issue a general warrant permitting a peace officer to “use any device or investigative technique or procedure or do anything described in the warrant that would, if not authorized, constitute an unreasonable search or seizure”. Section 487.01(1)(c) provides that this general warrant power is residual: a “fall back” if there is no other basis available – whether under the Code or another federal statute — to approve of the proposed police action. TELUS objected to the request, taking the position that a wiretap authorization was required because it was really an “interception of private communications”. The counter argument was that this was not an interception but rather an access request to data held in a database. This argument was available because TELUS, unlike the other two large wireless providers in Canada, stores every text message before delivery. 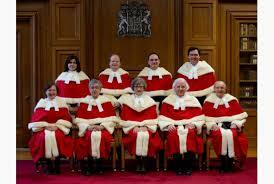 The SCC adopted the TELUS position, quashed the general warrant order as well as a related assistance order. 4. Text messages engage privacy rights: “Text messages are private communications”. The effect of this decision will depend on its interpretation and application is subsequent legal decisions but it may be viewed as significant in delineating privacy boundaries for not just for civil libertarians and police but everyday people who increasingly communicate using text messages. Perhaps not much comfort in a post-Snowden/NSA world of mass surveillance but every little bit helps.